Heather Waldo graduated from Staunton River High School. 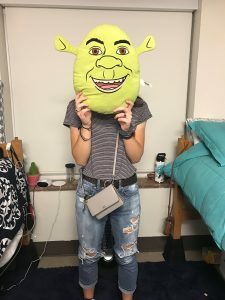 If you see her out on campus, she’ll often have a camera around her neck (yes, a real camera) because she’s interested in photography—which is convenient because she’s a communication studies major. She likes to write, too. 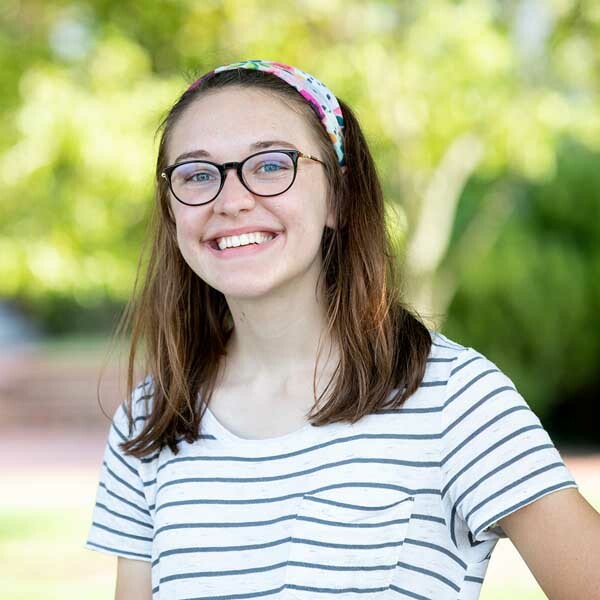 In high school, her favorite classes were yearbook, English and sociology, and she was involved in the National Honor Society. 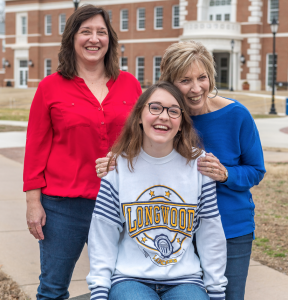 She may be new to Longwood, but her family isn’t. 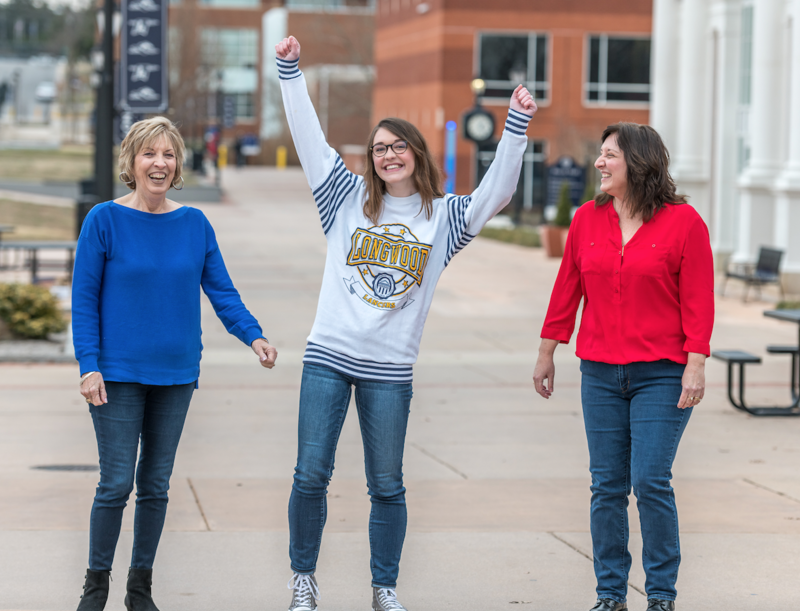 Both her mother and her mother’s brother (Heather’s uncle) graduated from Longwood. My family did not write or produce the book Where’s Waldo. I’m 5-foot-8, and everyone assumes I’m athletic—but I only participated in a school sport once my whole life. My two favorite books are Live Fearless by Sadie Robertson and The Secret by Rhonda Byrne. Live Fearless is all about how defeating and breaking away from fear will change your life. The author also describes how trusting in God more in your life will make all the difference in defeating fear. I just really like how it is inspirational but also mentions God and his word, and it allows me to expand my faith. The Secret is also an inspirational book. It doesn’t mention God as much as Live Fearless but puts more emphasis on how the power of positive thinking will lead to positive outcomes. It’s more karma-based I guess. I find myself using techniques from Live Fearless and The Secret simultaneously to better myself every day. 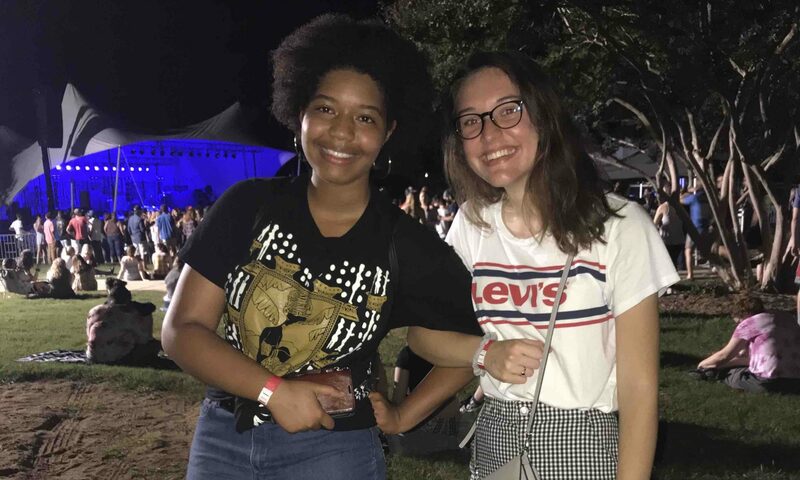 Heather and her friend Makayla enjoyed the live music at Oktoberfest. Everyone who becomes a Lancer at Longwood eventually hears about Oktoberfest. Oktoberfest is one of the biggest events to take place all year on campus. Since we don’t have a football team, Oktoberfest is sort of like Longwood’s version of homecoming. At this huge celebration, there are rows and rows of different booths representing organizations and clubs on campus. Some examples are the Honors Association (HSA), the photography club, various ministries on campus. Basically any club or organization you can think of was represented by a booth at Oktoberfest. 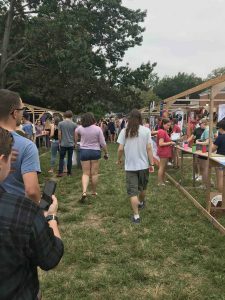 Most students organizations set up a booth at Oktoberfest, where they raise money to support their activities. At all of these various booths, the main goal was to raise money for the organization. 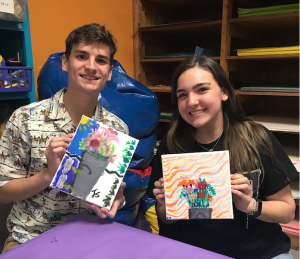 In trying to raise money, many of the booths were selling different types of food—everything from cupcakes to “Oreo balls” to hot dogs and hamburgers. However, not every booth was selling edible treats. Some had different activities you could pay for or handcrafted items you could purchase. For example, at the photography club booth, you could pay $2 to use their props and have a Polaroid picture taken of you and your friends. 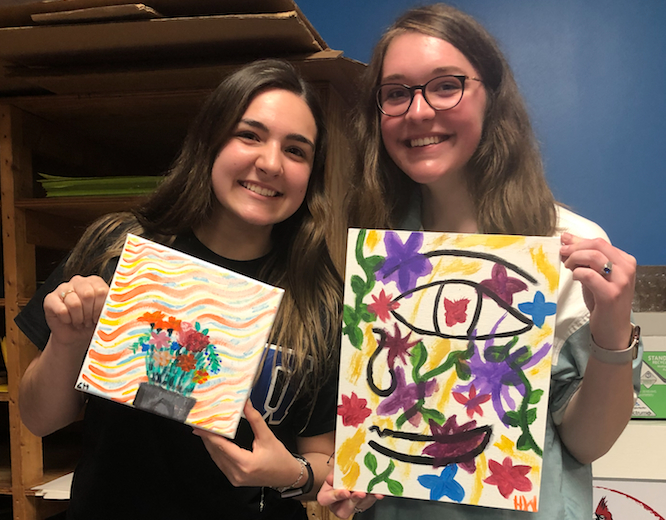 (My roommate and I did this—it’s such a cute picture). Or at the HSA booth you could buy little plastic pumpkins or hand-painted coasters! I am a member of the HSA and I volunteered to help sell these items in their booth. In making my way around all of the different booths I ended up buying some really cool items. (I bought more than I thought I would, but Oktoberfest is only once a year, so it’s OK, right?) Among the items I couldn’t resist were a small record that had been painted blue and says “Longwood University”, a cute hand band, some Longwood stickers of the Rotunda and the Princeps crown symbol, which represents good luck. (There are various crowns on the sidewalks of campus and you’re supposed to step on them for good luck). Not only is there so much to see, do and eat at Oktoberfest, but there are also live performances taking place. The artists this year included a DJ, a rapper and a country singer. My friend Makayla (see photo at top) and I really enjoyed the performance by the rapper named Bryce Vines—he killed it! There were also some activities you could do for free at the event, like riding a bull (a fake one, of course); an inflatable jousting arena, where I went up against Daniel Easter, who’s another member of the My Life As A Freshman project (I think I won but don’t tell him that); and a huge inflatable Twister board! I would definitely say my first Oktoberfest experience was a success. I had so much fun volunteering in the HSA booth; taking pictures with my friends and Daniel at the free photo booth; buying some cool things; eating good food; and listening to the live performances. It was a blast! No matter what year you’re in in college or if you’re just visiting Longwood, I would highly recommend you enjoy all of the Oktoberfest festivities! Note: Heather submitted this entry soon after Oktoberfest. This late posting is due to an oversight by the blog administrator. 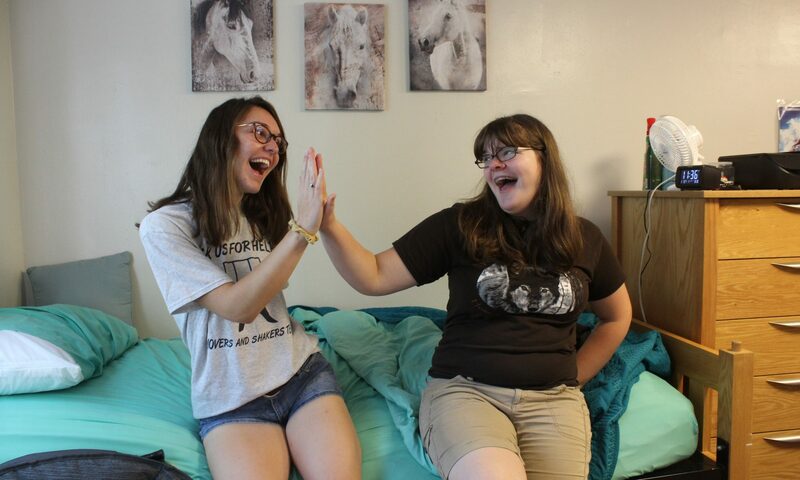 Heather (left) and her roommate, Jessi, have figured out how to get used to sharing a dorm room. 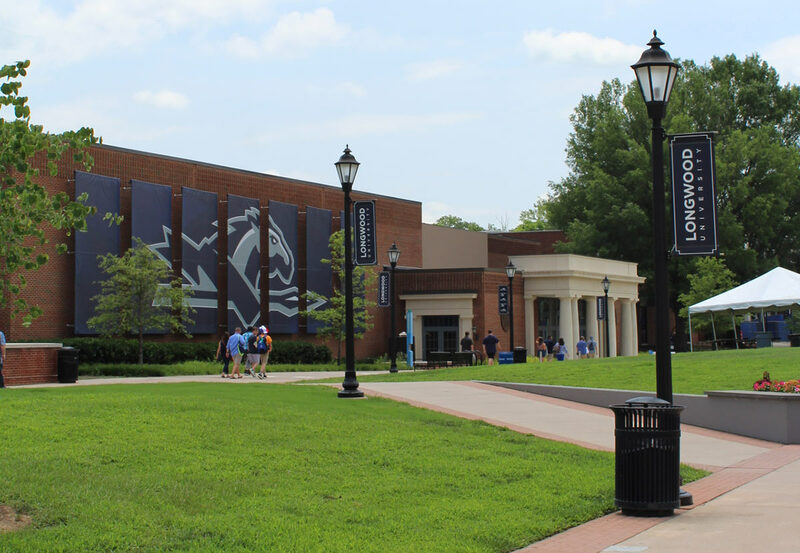 At Longwood University, being a part of the Honors College isn’t just something stated on a piece of paper or resume. 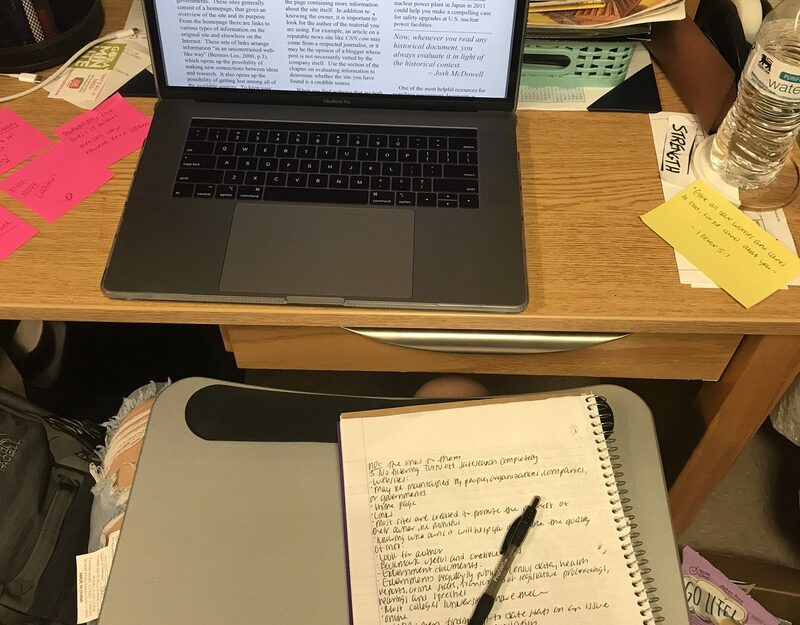 In the Cormier Honors College, being an honors student is a privilege that comes with many experiences and opportunities. When I first found out I was accepted into the Honors College, I was overjoyed. I knew I would love being a part of such a special group at Longwood and meeting amazing people, both students and faculty. Shortly after I was accepted, I received an email saying I was invited to attend the honors retreat. I had absolutely no idea what to expect, but I knew I should take advantage of this awesome opportunity. In a later email, I found out the day the retreat started was also our move-in day. 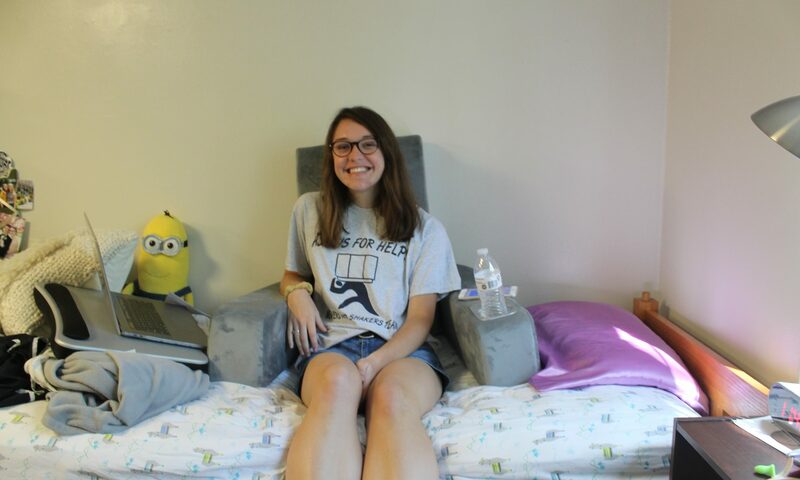 All of the honors students moved in four days before the rest of the freshmen arrived on campus. In those four days, I participated in so many different things and activities I can’t remember them all. 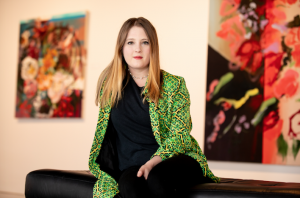 To name a few, I went on an outdoor high and low ropes course, met with my honors mentor and group on multiple occasions, played “zombie tag,” went to the Virginia Museum of Fine Arts in Richmond and, lastly, watched the Match your Mentor Pageant. The Cormier Honors College retreat gets loud. In the pageant, each honors group met with their mentor and fellow group members and came up with a theme and a creative skit to perform. In the photo of this group, you’ll note they’re mostly wearing red. That’s because their theme was American pride. They were also singing the famous song Born in the USA during the photo. They later won a category at the end of night. In the other photo, you see three girls who didn’t participate in the skit and decided watch instead. We chose to do this only because this event took place at the end of the night and we all pretty tired. However, I can honestly say watching all of the skits was so much fun and something I will never forget. Anyway, in the photo, the girls are Brittany Armstrong, Hannah Elmore and myself. All three three of us are freshmen, and I met them through the retreat, and Brittany is also one of my suitemates. Through all of the crazy schedules and having some really long days, I still loved the Cormier honors retreat. 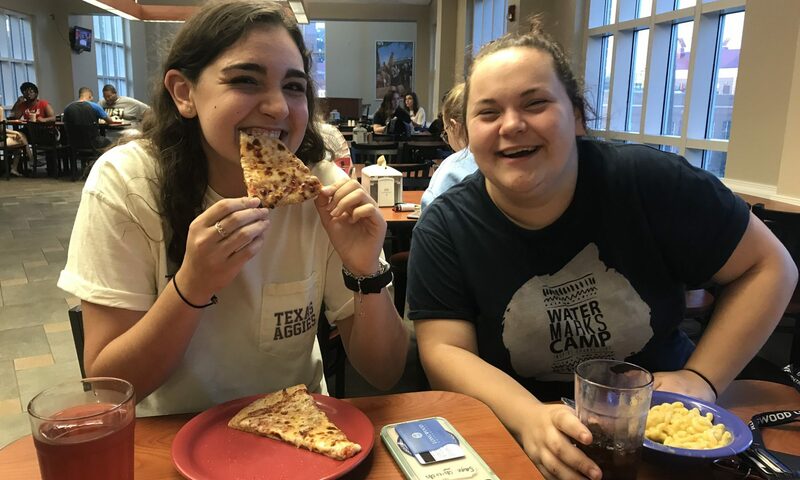 I met a lot of my first friends at Longwood through the retreat and often find myself seeing familiar faces everywhere around campus because I met so many people. The retreat made me push my boundaries—or altogether break them down—and I learned a lot about myself during that time. So, if you have the opportunity to apply for the Honors College, you totally should because is just might change your life. 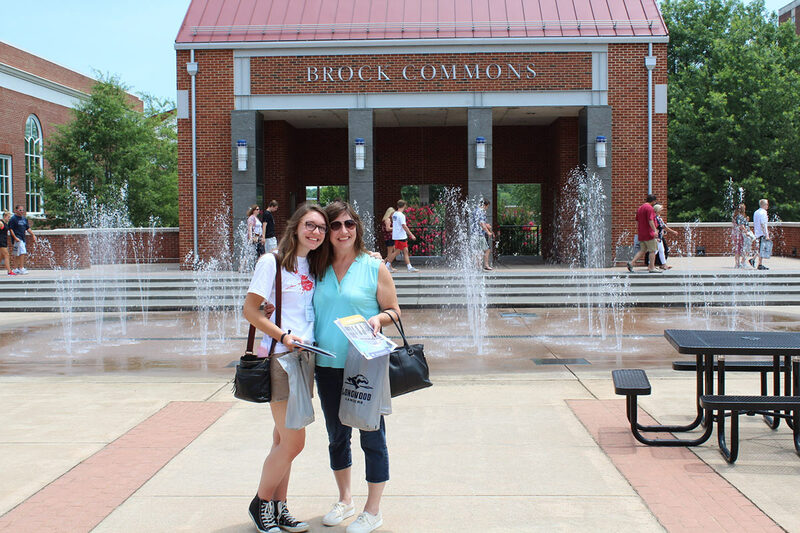 Heather and her mom at orientation. 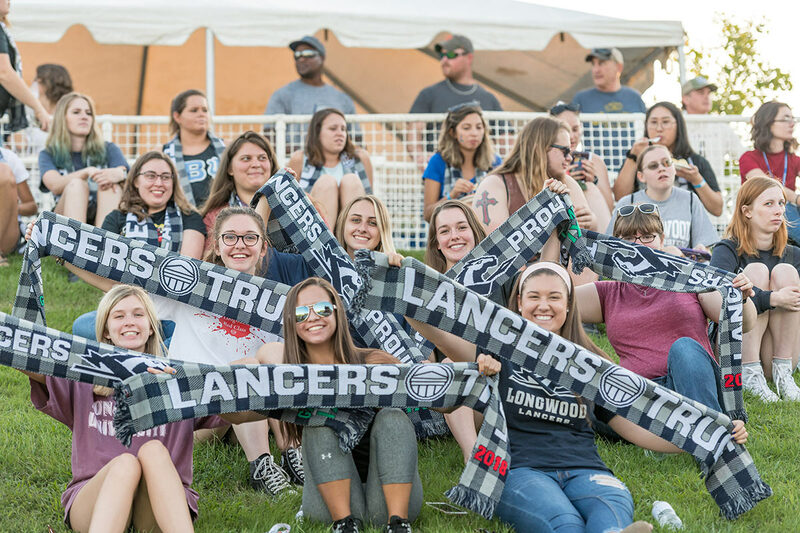 My Longwood orientation was definitely a date I will always remember—from the beginning of the day (which for me was at 4 a.m.) to arriving on campus and experiencing all of the different activities, meetings and seminars. Shortly after my family and I arrived on campus, the opening seminar was about to start. There were a couple of different speakers talking about a variety of topics, like a soon-to-be graduate’s point of view of his freshman year, to housing information, move-in day and much more. Listening to all of the different speakers I gained a lot of very important information, so I would say going to the opening seminar is vital to your orientation experience. Heather’s camera couldn’t resist the giant Lancer logo on the side of Willett Hall, where basketball games are played. A lot of advice was also given to the Class of 2022. 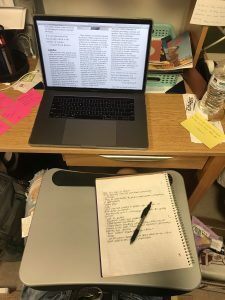 One bit of advice that stood out to me was the fact that college is what you make it and that you have to take the initiative to take advantage of all of the opportunities open to you. That really resonated with me, and I hope I always remember that. After the opening session, we were asked to go outside and find a current Longwood student holding a sign with our major written on it. 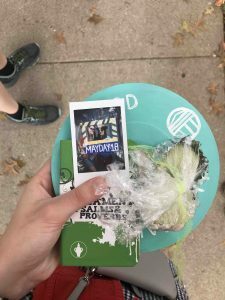 I went to the person holding the communications sign (I later learned his name was Andrew—he was really cool) and our group went to meet with a communications professor and then to a computer lab to fill out housing and meal plan forms online. After that, much of the rest of the day was the students’ choice: We could visit specific colleges within Longwood, speak with admissions or financial aid, and everything in between. My Longwood orientation experience was positive from all aspects. 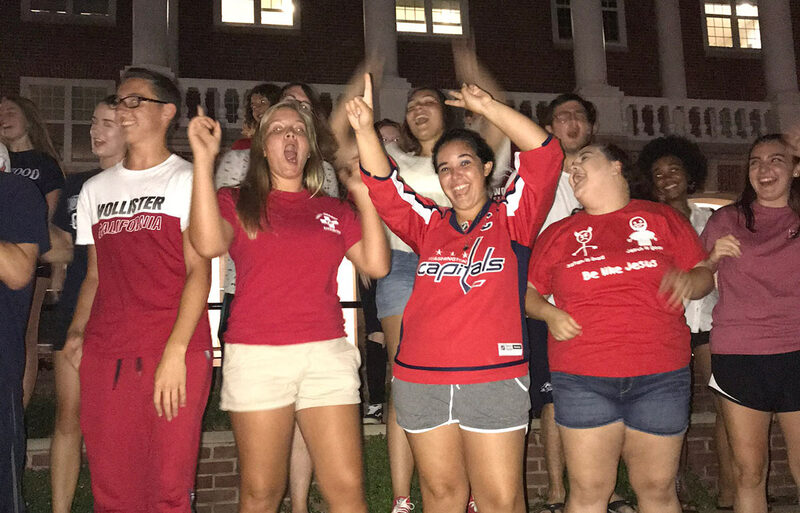 I think it is important for new students to attend to get information, but I also think it is important because there’s just a certain energy at Longwood that can’t be found in most places. The whole time while I was on campus, everyone I interacted with was so nice and helpful, and I could tell they really cared. That feeling of home and compassion is one of the aspects I like most about Longwood. 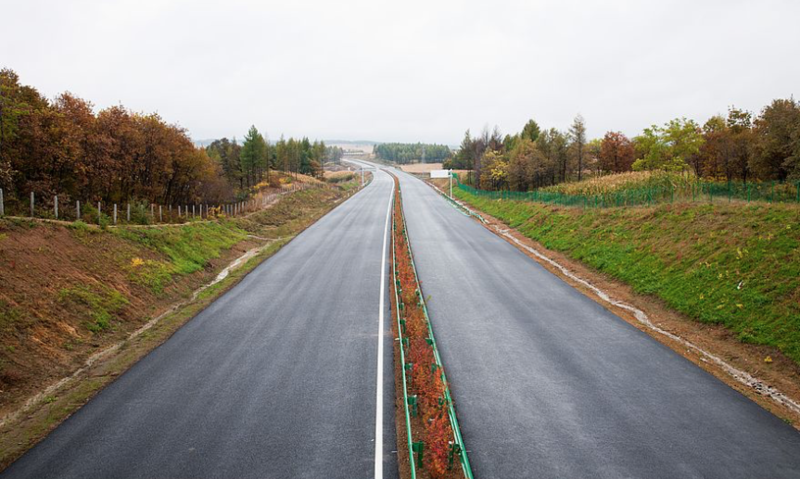 Everyone here wants students to succeed, and the faculty will help them anyway they can.